Weil-McLain Boiler Bucks is not your typical points program! There are many ways to earn your Boiler Bucks for thousands of reward options. 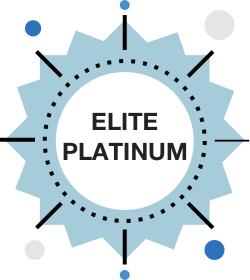 Use your rewards to help build your business, motivate your staff, or to simply treat yourself. Participation is easy — and personalized just for you. Installers: There's an app just for you! Now it’s faster and easier to register boilers on the job site (and generate your Boiler Bucks instantly!) as well as register Weil-McLain warranties for homeowners. Just scan the barcode, enter homeowner information, take installation photos, and submit! The app also gives you on-the-go access to relevant product and technical materials to aid with installation, service and diagnostics. NEW WEBSITE SIMPLIFIES YOUR WORKFLOW. 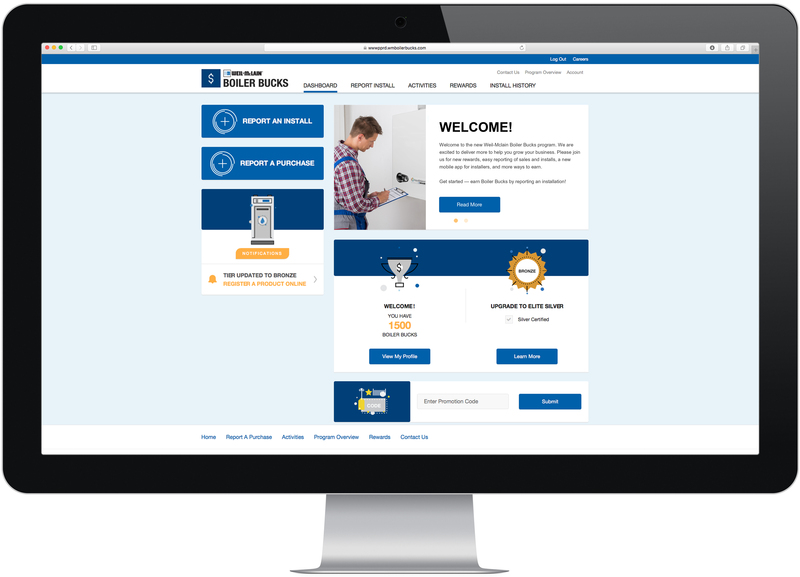 We’ve improved our website to streamline boiler registrations, installation tracking, and team management. Updates include a new registration form for speedier data entry of multiple CP numbers. Contractors can report boiler purchases and installations to generate Boiler Bucks (for the owner and installer), and they have full control over inviting and removing installers and account admins. We’ve loaded the rewards catalog with thousands of new options – and more reasons to collect Boiler Bucks! Select from sporting goods, Bass Pro Shops gear, concert tickets, electronics (TVs, computers, tablets, mobile accessories, home audio, cameras, phones), music, movies, video games, home goods, small appliances, and much more! Coming Soon: Faster ways to earn based on new tiered status! We've compiled the most frequently asked questions to assist you with most inquires. If you don't find the answer you're looking for please Contact Us. What is Weil-McLain Boiler Bucks program? The Weil-McLain Boiler Bucks program is designed to help our contractors build their business by providing helpful tips, educational training, special promotions and the ability to earn Boiler Bucks that can be redeemed for valuable rewards. Who is eligible to participate in Boiler Bucks? The Boiler Bucks program is open to any contracting company in the U.S. that purchases Weil-McLain products. The owner or principal of the contracting business should enroll for your company. Individual installers who are employed at the enrolled company can also participate, but need to be invited to join by the company’s owner or owner administrator. How do I enroll in the Boiler Bucks program? If you are a contractor/owner and new to the Boiler Bucks program, go to wmboilerbucks.com and click on Register. You will be asked to complete a registration form. The information you provide will be used to improve your locator listing on weil-mclain.com by offering homeowners a complete profile about your business. After submitting your information, you will receive an email asking to confirm your enrollment. Simply click on the personalized link in your email and start earning. If you, the company owner, has previously participated in the program, go to wmboilerbucks.com and click on Confirm Account. You will only need to confirm and update your account details the first time you visit the new site. Your information will be used to update and improve your locator listing. Can other people from my business register for Boiler Bucks? Yes, you may invite installers or an administrator to register and participate in the program by going to your Account page, select Users, then Add New User. Just fill in the short form entering the person’s name, email address and their role. An email will be sent to asking them to register and providing a personalized link to the site. What if an installer no longer works for my company? The owner or owner’s administrator may login and go to their Account page, select Users, then find the correct installer account and click Deactivate. There is no cost; participation in Boiler Bucks is free. As a member of the Boiler Bucks program, what will I receive? How do I earn Boiler Bucks? Once enrollment is complete you can earn Boiler Bucks in a number of ways. •	Purchasing Weil-McLain boilers and registering the installation on the site or through our new app when you/your installer are at the customer’s home. •	Additional Boiler Bucks may also be available during special product promotion periods. Additional product promotion opportunities and information will be communicated on the Boiler Bucks website and through Boiler Bucks communications. •	Boiler Bucks may also be offered for other activities such as watching a video and taking a short quiz, giving us some feedback in a survey or poll on the Boiler Bucks website. The number of Boiler Bucks will be determined and communicated as part of the promotion information and will be added to your balance when the task is completed. Where can I see how many Boiler Bucks I’ve earned? Your Boiler Buck balance appears on the website when logged in on both your dashboard and on your Account page. This balance equals the number of points currently available to shop in the Boiler Bucks rewards catalog. You can also view Boiler Bucks earned for a reported purchase/install by going to your Install History page. You may search by CP Number, Installation Date or Purchase Date entered. Boiler Bucks can be redeemed for merchandise by clicking on Rewards on the top navigation and shopping in the catalog. Can members purchase additional Boiler Bucks? No. Members cannot purchase additional Boiler Bucks. They can only be earned by reporting eligible Weil-McLain boiler installations or purchase or through other Weil-McLain promotions. Can members transfer or combine Boiler Bucks? No. At this time, members cannot transfer Boiler Bucks or combine with other accounts. What kinds of rewards can I get with my Boiler Bucks? You can redeem your Boiler Bucks for any item in the Boiler Bucks rewards catalog. Simply click on Rewards on the site to view the catalog with thousands of merchandise items from the top brands in electronics, sports and recreation, jewelry, home and more. You can also redeem your Boiler Bucks for Weil-McLain branded apparel. How do I redeem my Boiler Bucks? The total number of Boiler Bucks needed to be redeemed for each reward is displayed next to each item in the Boiler Bucks rewards catalog. You can redeem boiler bucks for any reward or a combination of reward that is equal to or below your current Boiler Bucks balance. Simply add the item(s) to your Shopping Cart and complete the check-out process. When can I start spending my Boiler Bucks? You can spend your Boiler Bucks right away, as soon as you have enrolled and accepted the Weil-McLain Boiler Bucks Terms and Conditions. Will I be charged for shipping my rewards items? No, your Boiler Bucks rewards items will be delivered at no cost to you. Should you need to return an item for any reason our customer service group will be happy to assist you. Simply click on Contact Us and fill in your email address along with a short description. When/how should I use the Weil-McLain Boiler Bucks App? 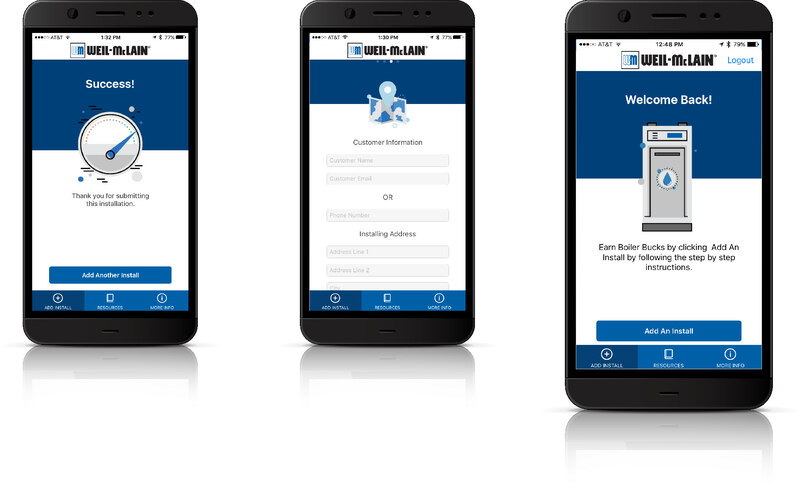 We’ve created an app to make it faster and easier to register boilers on the job site in three easy steps. •	Step 3: Enter your customer’s name, email or phone, and address. Your customer’s warranty information will be registered! The app also gives you on-the-go access to boiler technical materials and videos to aid with installation in the Resources section. Simply download the app from the Apple App Store or Google Play. Do I have to be registered in Boiler Bucks before I can use the Weil-McLain Boiler Bucks App? Yes, you must have set up your account already at wmboilerbucks.com. The first time you open the app you will be asked to login using your email address and password from your account. How do I find the Weil-McLain Boiler Bucks App? Go to the app store for your mobile device, either the Apple App store or Google Play. Search for Weil-McLain Boiler Bucks. Click to install the app. There is a Forgot Password link on the login page. Simply fill in your email you used during registration and reset instructions will be sent to you. What type of device do I need of participate in Boiler Bucks? 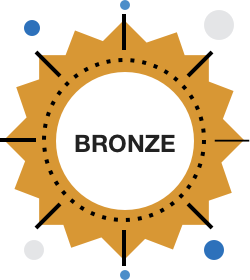 You can participate on a computer or mobile device with Internet or Wi-Fi access. What if I want to update my profile information on the website? If you have any additional questions that aren’t covered here, don’t hesitate to ask. Please send us an email through Contact Us.